Bollywood’s dhak-dhak girl Madhuri Dixit Nene will soon be seen opposite Sanjay Dutt in the upcoming film ‘Kalank’ to be produced by Karan Johar (Dharma Productions). Not many are aware that the two were linked together in the past. Sanju baba and Madhuri’s personal equations went for a toss after Sanjay was convicted and went to jail. However, the two have since moved on and have agreed to work together yet again, keeping their personal and professional lives separate. Madhuri’ role was earlier supposed to be played by Sridevi, but after her untimely death, the role was offered to Madhuri dixit (considered to be Sridevi’s rival at one time). While Madhuri Dixit had no qualms about working opposite Sanjay Dutt, Sanjay Dutt was “uncomfortable” with the idea of working with Ms Dixit. Karan Johar had a heart-to-heart conversation with Sanjay Dutt and reminded Dutt that whatever happened between Dixit and Dutt was a long time in the past; they are now happily married and have children. So the past should bury itself. 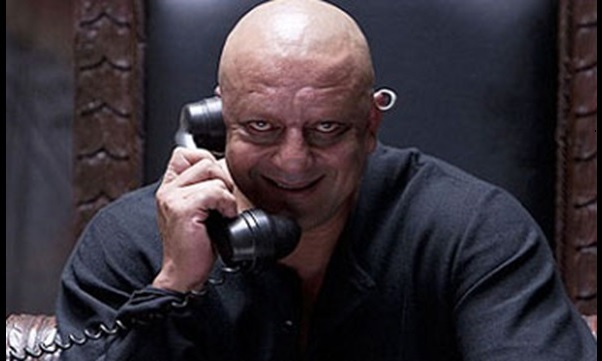 finally, after a lot of convincing, Sanjay Dutt finally relented. The movie will star Madhuri and Sanjay Dutt in a a mature relationship. Back in the 1990s, Madhuri Dixit and Sanjay Dutt were allegedly in love. Sanjay and Madhuri starred in several films together, including Saajan (1991). But their relationship ended on a bitter note after Sanjay Dutt was jailed. “My favourite partner is Sanjay Dutt, he’s a real joker…and his stories make me laugh all the time, but he is also a gentleman,” said Madhuri in an interview. “Sanju is a fantastic person. He has a loving heart and, in contrast to the widely held view, a good sense of humour. He is the only guy who makes me laugh all the time. He does not play games. He is open and uncomplicated,” said Madhuri in another interviews. A disturbed Richa (Sanjay’s first wife) who was in New York for her cancer treatment, came back to Mumbai but returned back in just 2 weeks. Richa’s sister Ena Sharma, in an interview, blamed Madhuri for her Richa’s separation with her husband Sanjay. “Madhuri is so inhuman…I mean Madhuri can get any man she wants. How can she go for a man who’s behaved in such a way with his wife? I know they are good friends because he’s called her from our house. And he does talk to her brother and her sister here. But we never looked at it as if “okay the guy’s involved with Madhuri”. We’re very open, we’ve always given Sanjay his space,” she was quoted as saying. However, the relationship ended on a bitter note after Sanjay was arrested for illegal possession of arms in 1993 Mumbai serial blast case. Madhuri completed distanced herself from Sanjay after he was imprisoned. There were rumours that Madhuri has asked director Rajkumar Hirani (who’s making a biopic on Sanjay Dutt) to remove all references to Madhuri from the movie. “For where I am today, this [the topic of Dutt] has become redundant. Life has come a long way since then. I don’t know where these reports are coming from. In any case, it doesn’t make a difference to me,” Madhuri had clarified in an interview recently. A lot has happened between the two in the past, and fans of this couple are only eager to see them share the screen once again. Should Bollywood Choose Professional Commitments Over Voting?